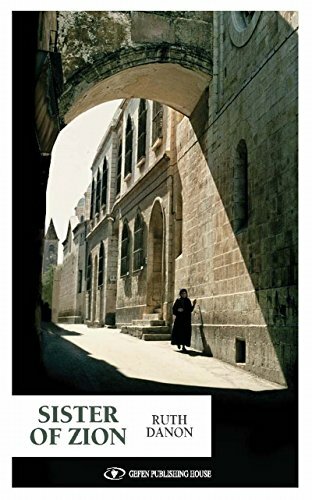 A chance encounter in a convent in Jerusalem’s Old City at the height of the Six-Day War reveals the thrilling biography of a young Jewish girl whose life circumstances brought her into the arms of the Catholic faith. Forced to flee Bulgaria during the Second World War, Regine Canetti and her family boarded an illegal immigrant ship headed for Eretz Israel. But when the boat sank in a storm, Regine lost half her family. Alone in a strange land, her choices steered her toward her path in life, to new encounters and travels, and to an ancient-new religion. Retold by her good friend Ruth Danon, in a first person narrative called ‘magnificent, moving, and almost unbelievable’ by Israeli author and literary critic Ehud Ben-Ezer, the life story of Sister Regine highlights the tragedy of the White Paper restrictions on Jewish immigration during the British mandate, the relations between Jews and the Church following the Second Vatican Convention, and the experience of life in Israel during some of its critical moments in history.